Last Tuesday, Imo State governor Rochas Okorocha organised a Southeast mega rally to unite and fire the All Progressives Congress (APC) in readiness for the 2019 presidential election and to support President Muhammadu Buhari’s re-election agenda. The attendance was impressive, but according to The Nation the most notable Igbo leaders in the Southeast APC absented themselves from the governor’s show of political narcissism. The notables did not indicate why they shunned the rally, whether it had to do with the governor’s personal style, his monarchical tendencies, or his obstinate attempt to impose his son-in-law as the state’s next governor. In any case, those notable leaders saw no reason to massage Mr Okorocha’s ego, and feared that their attendance might indirectly be interpreted as endorsement of the governor’s hidden and probably nefarious agenda. More significantly, however, the rally made news for much stranger reasons than Mr Okorocha’s adamantine politics and matchless rhetorical flight of fancy. The Secretary to the Government of the Federation (SGF), Boss Mustapha, who represented the president at the rally, spoke glowingly of the Igbo, their acumen, and the need for them to embrace a paradigm shift in their presidential politics. He admonished them to tie their future presidential ambition to President Buhari’s re-election. Said he: “The people of the South East are part of Nigeria and they have the right to make claim where the need arises and we will all support them. But hidden among the stalagmites and stalactites of Mr Mustapha’s cajolery is the provocative linkage of the Igbo people’s political future to President Buhari’s re-election. 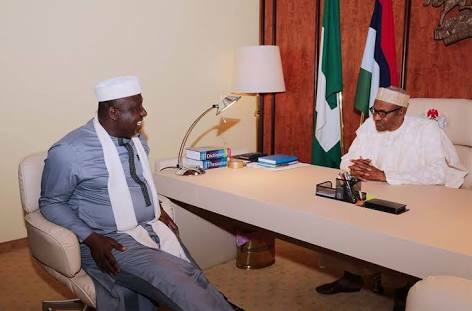 Mr Okorocha probably designed the rally to prove his continuing relevance in the Southeast and national political equations, and undoubtedly to underscore his support for the president. It is also possible that the governor genuinely believes that the best way the Igbo can secure the presidency in 2023 is to lend unqualified support to the president. Mr Mustapha also appears to associate with that linkage, but managed in the same breath to hem and haw in making that case. In fact, he stopped short of asserting that if the Igbo were to support the president’s re-election, he (the president) would ensure the victory of an Igbo man in 2023. It is nevertheless clear that regardless of the hemming and hawing, Mr Mustapha appears to insinuate that the Igbo support in the 2019 presidential election would be rewarded in 2023. It is not certain that both Mr Mustapha and the APC have not overstated their relevance and overplayed their hands. They may appreciate the Igbo support in 2019, if indeed they get it, but it is hard to see one party unilaterally determining the fate of the country, let alone its direction in 2023. Afterall, President Buhari himself does not believe in zoning and rotation. He contested every presidential election since 2003 until he managed to win it in 2015, and obviously disregarded the informal zoning arrangement that favoured the Southwest to take and keep the presidency for eight years from 1999. It is hard to see the same man now subscribing to the kind of political orthodoxy that he naturally repudiated in every conceivable way. Mr Mustapha in fact ascribes so much power to his party and the president that he finds it quite attractive to promise the presidency to the Igbo in exchange for their support in 2019. Neither the president nor the APC possesses the power to determine who wins the presidency in 2023. Such promises are therefore empty. When ex-president Olusegun Obasanjo foisted the late president Umaru Yar’Adua on his party as candidate in the 2007 presidential election, he had to support that atrocious aberration with a whole panoply of rigged ballots to make a qualified success of his political succession plan. The country is much wiser now, less inclined to tolerating political humbug, and a sitting president will need to shift the earth from its orbit to single-handedly determine which zone should produce a president. As shown by President Buhari’s own election, it is much harder for a zone or tribe to produce a presidential candidate than for a candidate to develop himself to a level of national acceptability that qualifies him to be given a hearing by more than three or four zones out of Nigeria’s six geopolitical zones. Rather than a zone artificially producing a candidate, the candidate must first produce himself, develop a political persona that is attractive to the electorate, propound a political philosophy, no matter how inchoate, that resonates with the country, and develop a wide circle of friends spread around the country to evangelise for him. Neither the president nor his party has managed to produce such a politician from the Southeast. So, how can they talk so confidently of Igbo 2023 agenda? Indeed, it is not even the responsibility of anyone, let alone the Southeast zone, to produce such a person, for the country does not want an Igbo, Yoruba or Hausa president, but a president of Igbo, Yoruba or Hausa extraction. Both Dr Obasanjo and President Buhari have shown why it is nonsensical to hanker after a president to satisfy tribal longings and zonal emotions. The opinion of the Yoruba has not changed about Dr Obasanjo, whom they regard as fundamentally at war with their values and ethos, not to say their developmental goals, despite his eight years in office. In fact they saw him as a negator in their developmental struggles. To the political elite in the North, President Buhari is viewed more as clannish and nepotistic than anything else. To them, and because of his insularity, he is seen as a bad sell for what the North stands for, particularly the inclusive politics the iconic Sardauna of Sokoto, Ahmadu Bello, stood for and propagated. Mr Mustapha’s subordination of Igbo presidential ambition to President Buhari’s re-election is likely to be regarded with alarm in many parts of Nigeria, especially in the Southeast. It reduces politics to a series of buying and selling of defective and inferior goods. It indicates an embarrassing desperation in the president’s camp, a desperation they are apparently willing to spread ethnic veneer on without scruples or principles. If the Buhari presidency were as confident of the support of the Middle Belt and the Southwest as it got in 2015, presidential aides would not need to cajole the Southeast with the bait of 2023 presidential candidature. Having enacted a scorched earth policy in some parts of the country, and unsure where it is capable of securing the kind of solid support it received some three years ago, the Buhari presidency will increasingly yield to desperate tactics, even if those tactics appear crassly ethnic. If the Igbo were to give the Buhari presidency a hearing as Mr Mustapha solicited, they would be torn between seeing his entreaties from the prism of their 2023 ambition, assuming that ambition exists, or from the prism of what they regard as his mistreatment of the Igbo over the Indigenous People of Biafra (IPOB) agitations. They are unlikely to be in a quandary. They have long suspected the president to loath the Southeast; it will take more than Mr Mustapha’s blandishments and Mr Okorocha’s glib rhetoric to change their view of the Buhari presidency. They are in fact likely to conclude that if an Igbo politician should desire the presidency, he would have to work hard to convince the country that by his person, ideas, capability, inclusive politics, and political contacts, he is more than qualified for the job. And that once entrusted with the job, he would see the country, not from the jaded prism President Buhari appears enamoured of, but from the uplifting and unifying oneness Nigerians earnestly yearn for.